Commiserations to our senior footballers who were defeated on Saturday in round one of the group in the SFC, if there’s a consolation, it’s that there is a lot they can improve on, and these men know how to do just that! 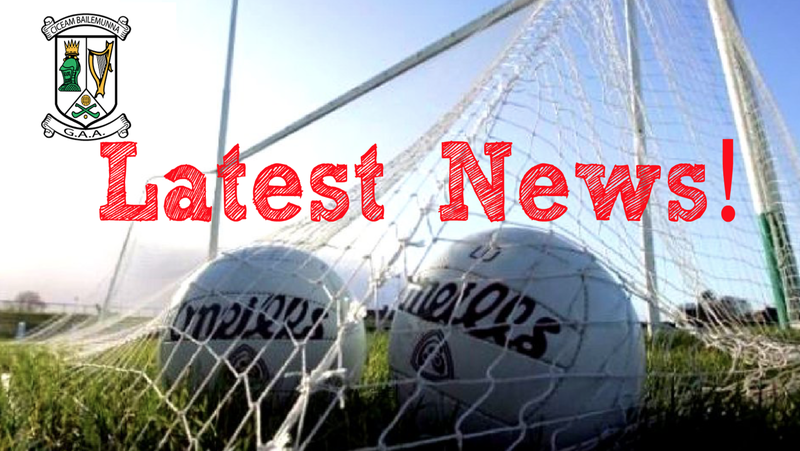 On a positive note, our junior A footballers had a terrific win in the JFC over Balinteer away 3-11 to 1-14 with Eoghan McCartan and Eoghan Flanagan getting the goals and Kevin Kelly instrumental throughout. Well done men. Well done also to our junior B team who mastered a big in over St. Marks also in championship with Cillian Doyle in exceptional form. Well done all. Our intermediates had a bye this round. Keep an eye out next week for next round fixture announcements. Our ladies team have their first league game this Wednesday at 7:30 in Pc Ciceam, the very best of luck to this team, probably our biggest improvers, as they venture off into a new season. Go get ’em girls! The club would like to express deepest sympathies to Phil Quinlan and his family and friends on the recent passing of his wife Gertie, and similarly the club extends sympathies to John McCarthy and his family and friends on the passing of his brother Ciarán. On behalf of all our members and friends, the executive committee wishes to extend our condolences to both families during these difficult days. May they both rest in eternal peace. Ar dheis Dé go raibh a anam dilís. We would like to remind all members, that under no circumstances are dogs allowed on our pitches and surrounds, and that smoking is not allowed on our pitches and surrounds. This is an executive order, and will be strictly enforced. For more information on all our news snippets, go to our website, FaceBook, Twitter or Instagram page, where you can find a myriad of facts about the club! Thanks for the mention. We really enjoyed yesterday mothers and others had a great day out. Thanks to our manager Declan fir his hard work. It paid off on the pitch. Sorry for the slow reply! Glad you enjoyed it Bernie.